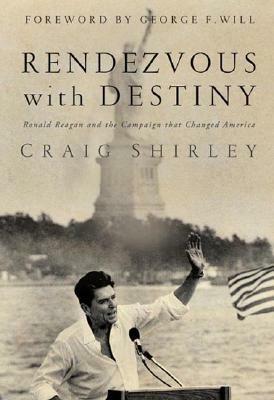 Craig Shirley’s “Rendezvous with Destiny: Ronald Reagan and the Campaign That Changed America” was published in 2009. This is Shirley’s second-published book on Reagan but is third-in-sequence in his informal series of four books focused on Reagan’s national political career and retirement. Shirley is an author and pubic affairs consultant, a member of the Board of Governors of the Reagan Ranch and a Trustee of Eureka College (Reagan’s alma mater). His most recent book “Citizen Newt: The Making of a Reagan Conservative” was published in 2017. With 600 pages (not including more than 100 pages of notes and bibliography) this is the longest of Shirley’s books on Reagan. In significant but not exhaustive detail it reviews Reagan’s effort to win the 1980 Republican presidential nomination as well as his subsequent campaign against Jimmy Carter for the presidency. 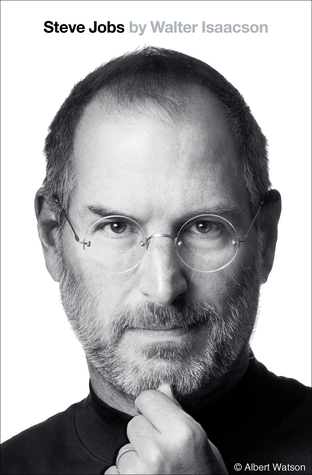 A relatively brief epilogue covers the ensuing twenty-five years leading up to (and even somewhat past) his death in 2004. Anyone who has read “Reagan’s Revolution” or “Reagan Rising” will recognize Shirley’s straightforward and comprehensible writing style. Readers who prefer serious, weighty history will appreciate that his literary voice is noticeably less “casual” here than in some of his other books. And, whether due to Shirley’s style or the topic itself, “Rendezvous with Destiny” moves at a consistently brisk pace while proving surprisingly hard to put down. Although this book provides an often fascinating “behind the scenes” perspective it is at its best when analyzing tactical elements of the campaign and focusing on the individual personalities who made the 1980 political scene so dynamic. Portraits of James Baker, John Sears, Ted Kennedy, George Bush and John Anderson (among many others) are often entrancing. And Shirley proves adept at analyzing the strengths, weaknesses, mistakes and successes of the various candidates’ campaigns. Despite the fact this is a biography of Reagan, the author does not ignore the battle between Jimmy Carter and Ted Kennedy for the Democratic nomination – a political contest which was often more riveting than the clash between Republican contenders. Other strengths of this book include an engaging blow-by-blow review of the October Reagan-Carter debate, the story behind Reagan’s selection of Bush as his VP, and coverage of election day itself. But some readers will undoubtedly feel that Shirley provides too much detail and not enough “big picture” analysis. Despite an effort to steer the narrative away from a simple day-to-day recounting of events, this biography is more about what happened than why and the grind of the primary campaign can grow taxing for even ardent fans of the political process. In addition, Shirley’s book is far less about Reagan and his particular brand of politics than it is about his campaign. Reagan’s personality, his character, his religious conviction, his family life and details behind his political perspectives must be inferred rather than absorbed. And the Epilogue tries to cover too much ground while exuding a needlessly defensive tone which leaves it feeling oddly disconnected from the rest of the book. Overall, however, “Rendezvous with Destiny” is a well-paced and often griping narrative of Reagan’s 1980 presidential campaign. Although it can be read and appreciated on a standalone basis by someone new to Reagan, it is undoubtedly most valuable as a supplemental text for someone seeking to enhance an already well-formed perspective of the 40th president.